Walsall have signed defender Luke Leahy on a two-year contract from Scottish Championship side Falkirk. Leahy, 24, scored 12 goals in 158 appearances with Falkirk, having joined the club from Rugby Town in 2012. 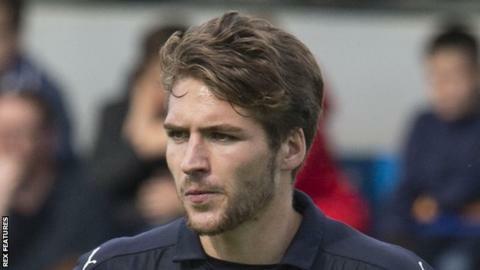 The left-back made 38 appearances last season, helping the club finish second in the Scottish second tier before they lost to Dundee United in the play-offs. He joins Walsall on a free transfer after his contract expired and is the League One club's first summer signing.